The CBI today submitted a status report on its probe into the mysterious disappearance of Najeeb Ahmed in the Delhi High Court, and is believed to have said that the auto-rickshaw driver who the Delhi Police claimed to have dropped the JNU student at Jamia Millia Islamia has retracted his statement. The status report, giving details of the steps the CBI has taken in the matter, was submitted in a sealed cover before a bench of Justices S Muralidhar and I S Mehta. The details were not discussed in the open court. According to CBI sources, when agency sleuths grilled the auto-rickshaw driver he told them that he was forced to give a statement that he had picked 27-year-old Najeeb Ahmed, a student of M.Sc in Biotechnology, from the Jawaharlal Nehru University (JNU) campus and left him at Jamia Millia Islamia on October 15 last year. The driverʹs statement was recorded under duress by the Delhi Police, the CBI submitted in the high court, the agency sources said. Mr Ahmed went missing on October 15 following an on-campus scuffle allegedly with Akhil Bharatiya Vidyarthi Parishad (ABVP) members the night before in Mahi-Mandavi Hostel of JNU. The probe agency, which earlier received flak from the court for its "complete lack of interest" in the matter, told the bench that it was awaiting forensic results of the mobile phones of nine JNU students that were seized in connection with its probe. Asked about the status report, CBI spokesperson Abhishek Dayal said he would not comment on the report as it was submitted in a "sealed cover" and the matter was sub-judice. The high court bench said, "CBI has handed over a status report. It reflects further steps taken in the matter. The court does not think it appropriate to discuss the details of the investigation given in the status report in the open court." The agency, which refused to give a copy of the report to the counsel for Najeeb Ahmedʹs mother citing the reasons of leakage of contents in the media, showed the details to the complainantʹs advocate for his perusal inside the court. 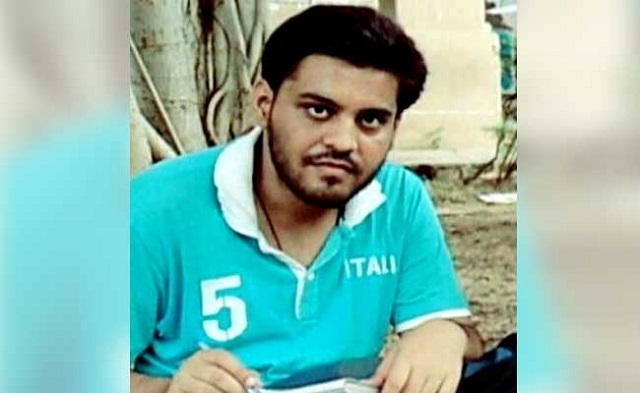 During the hearing, CBIʹs counsel Nikhil Goel said their investigation was continuing and they have seized the mobile phones of nine students suspected of being behind Najeeb Ahmedʹs disappearance and sent them to the forensic science laboratory (FSL) which is yet to give its report. Their call detail records were also being analysed, he said, adding that since the case was of a sensitive nature and if the details comes out in the media, it would be difficult for officials to extract information. The CBI had earlier faced flak from the high court for its "complete lack of interest" and not showing any result in its probe into the disappearance of Mr Ahmed, five months after being handed over the investigation. Over a month after he went missing, his mother had moved the High Court on November 25 last year, seeking directions to the police to trace her son. However, as the police remained clueless about Mr Ahmedʹs whereabouts even after seven months since he went missing, the probe was handed over to CBI on May 16, 2017. In August, when CBI failed to file a fresh progress report in the case, the high court had rebuked it, saying the probe was not transferred to the agency "for fun".